Tomorrow is the first day of Spring and I'm ready! 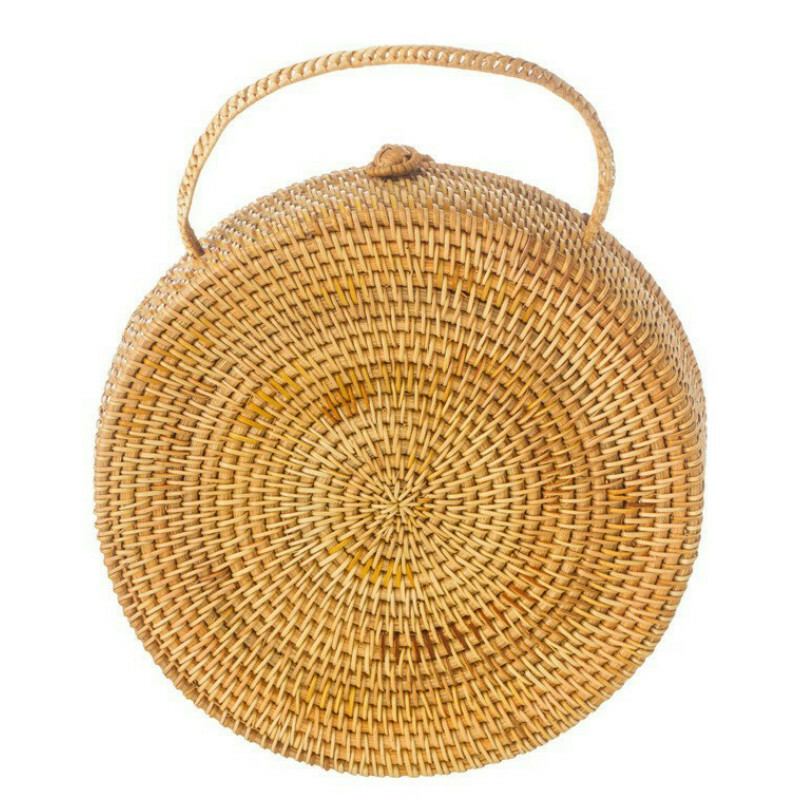 I've started adding some new, vibrant pieces to my wardrobe to shake off the winter doldrums and get my closet ready for the warmer months ahead. 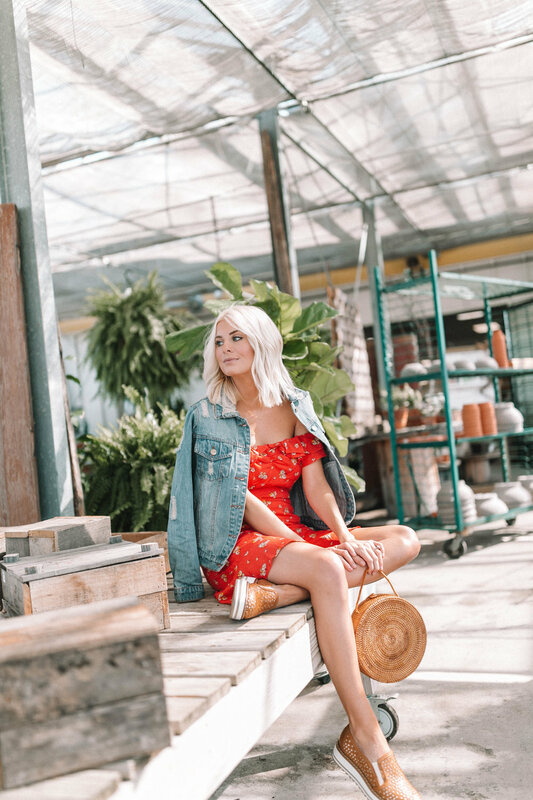 This full outfit is from Magnolia Boutique and it's got me feelin' all the spring vibes! I love the bright pop of red from this off-the-shoulder floral dress. 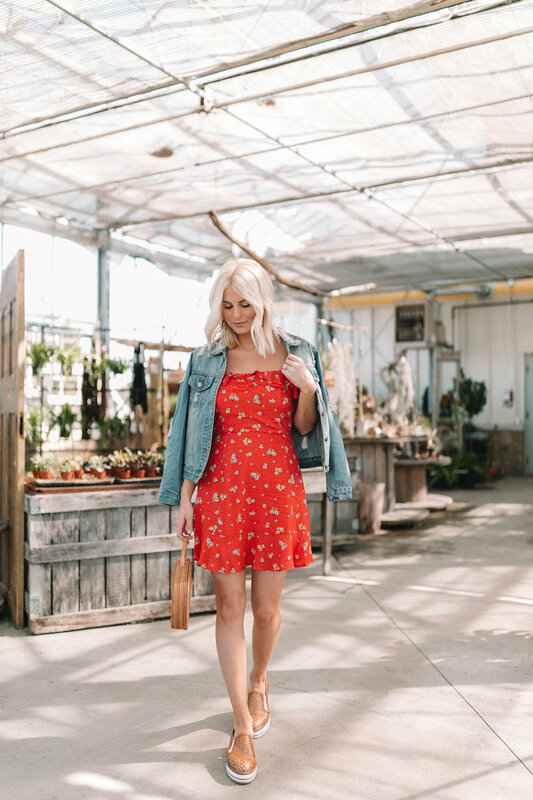 Magnolia has so many gorgeous floral dresses that are perfect for spring (and Easter weekend coming up!). I paired my dress with this light-wash distressed denim jacket. I love a little bit of edgy contrast with the floral feminine look. You can shop my full look below and be sure to check out Magnolia's other New Arrivals! Happy Monday loves. Thanks for reading!